The Endellion String Quartet will enter its thirty-fourth year in the 2012-2013 season. Its thirtieth season was marked by the release of a boxed set of the complete Beethoven string quartets (Warner Classics); new commissions of six “Quartettini” from Robin Holloway and a new piece by Roxanna Panufnik and poet Wendy Cope; involvement in Phil Grabsky’s documentary film, “In Search of Beethoven”; a DVD of the Quartet playing Beethoven; a series of performances of Haydn’s Seven Last Words incorporating the Endellion’s commission of Andrew Motion’s words written especially for the piece; and concerts throughout the UK, and in Europe, China, Japan and Korea. The Endellion continues its Residency (now in its twentieth year) at the University of Cambridge, and was involved in special celebratory concerts at the University which recently celebrated its eight hundredth anniversary. Recent and future engagements include concerts in the Republic of Ireland, Spain, Portugal, Italy, Holland, Mexico, and India. In 2013 the Quartet will twice be touring the USA and Canada. It will perform the complete cycle of Beethoven’s quartets in New York’s Metropolitan Museum of Art within the space of ten days. It recently performed and coached for the prestigious quartet academy MISQA in Montreal. Warner Classics is issuing further recordings of Schubert and Haydn. The Quartet participated in Phil Grabsky’s film “In Search of Haydn”; and gave a performance of the première of “Towards The Blue” by Thea Musgrave, commissioned by Wigmore Hall for Michael Collins and London Winds to perform with the Endellion String Quartet. The Endellion is renowned as one of the finest quartets in the world. Over the years, its schedule has included regular tours of North and South America and concerts in Australasia, the Far East, the Middle East, South Africa and every West European country. Everywhere, the Endellion String Quartet “sets the audience ablaze” (Daily Telegraph) and “captivates concertgoers with a remarkable rapport, playing to each other with a sense almost of discovery, communicating to the audience on a level of unusual intimacy” (The Guardian). In Britain, the Endellion String Quartet has appeared at nearly all of the major series and festivals and has broadcast many times on BBC radio and television; it has appeared at the Proms and it has been featured in the week-long programmes “Artist of the Week” and “Artists in Focus”. 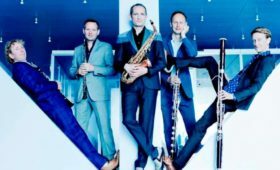 Its presence in London has been marked by several series both at the Southbank Centre and Wigmore Hall, where the Quartet members were Artistic Directors of several “Quartet Plus” series. They have worked with guest artists including members of the former Amadeus Quartet, Sir Thomas Allen, Joshua Bell, Michael Collins, Steven Isserlis, Mitsuko Uchida and Tabea Zimmermann. 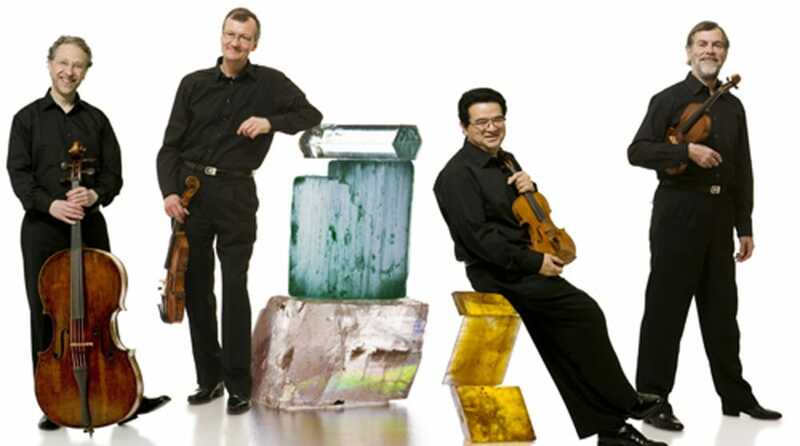 In 1996 the quartet was winner of the Royal Philharmonic Society Award for Best Chamber Ensemble. 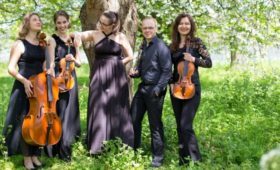 In addition to its Cambridge University Residency, the Endellion String Quartet has undertaken three short-term residencies at the Massachusetts Institute of Technology (MIT) in the USA. Since 2004 it has had a Spring Residency at The Venue, Leeds. 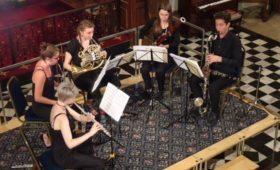 From 2001 to 2010 it was Associate Quartet of the RNCM; and 2011 saw the start of its position as Visiting Quartet in Association with the Guildhall School of Music and Drama. The Endellion’s 1987 recording for EMI of the complete string chamber music of Britten was selected as Chamber Music Recording of the Year by both the Daily Telegraph and The Guardian, and was the most highly recommended version in Radio 3’s Record Review. Their Haydn Op. 54 disc – the first of a series for Virgin Classics – was the only quartet record featured in Radio 3’s Critics’ Choice of Records of the Year. The Endellion has also recorded Mozart, Bartók, Dvorak, Smetana, Foulds, Walton, Bridge, Schubert, Barber, Amy Beach and Tchaikovsky. In 1998 EMI released “Arcadiana”, the Endellion Quartet’s commission from Thomas Adès, on a disc that subsequently received the “Editor’s Choice” award in the 1998 Gramophone Awards. The Endellion’s release of the complete Beethoven quartets and viola quintets (supported by The Stradivari Trust) is notable for including rarely heard works, movements, studies, and fragments for quartet and quintet, as well as Beethoven’s complete early version of Op. 18 No. 1 and his remarkable quartet arrangement of his Piano Sonata Op. 14 No. 1. The texts used in these recordings have been prepared by the notable Beethoven scholar and editor, Jonathan Del Mar, in collaboration with the Endellion String Quartet. These texts are gradually being published by Bärenreiter, and include striking restorations of Beethoven’s original notes, harmonies, rhythms, slurring, articulations, and expression marks, using newly available sources. “…these superb musicians respond to the dark undertow so characteristic of Beethoven’s quartets as much as the gentle lyricism which invariably breaks through. The rest of this cycle is a mouth-watering prospect.” The Observer (on Beethoven String Quartets Vol. 2).